Rebecca Russell admits she was always a little accident prone as a child - a quirk which led to a fascination with mending broken bones. At just 10 years old she can remember being drawn to a first aid stall at a fun day in Rosshall Park near her home in Crookston, Glasgow. "It had fake wounds and how to treat them - it was fascinating, and great fun," she said. The chance encounter prompted Rebecca to enlist as a cadet with the St Andrew's First Aid charity. Eight years later, her interest in the human body would help her perform crucial emergency care for a young girl lying on the ground experiencing a fit, as they queued for one of her favourite bands RoadTrip. "I was outside a gig when a young girl began having what was an epileptic fit and was going in and out of consciousness," Rebecca said. "We were out in the street so I helped her, kept her warm and put her into the recovery position and kept trying to get her to talk as well as reassuring her until the ambulance arrived to take over." Now with eight first aid certificates under her belt, 18-year-old Rebecca is studying child health and social care at City of Glasgow College. And she continues to carry her confidence in managing crisis situations. She explained: "Last month I was on my way to the cadets from the town centre and was going to get a bus when a man who was with his wife fell down in the street after being taken unwell. "He was slipping in and out of consciousness - I introduced myself as a first aider, managed to get his wife to reassure him that an ambulance was on its way and kept him lying down in the recovery position under paramedics came." Another witness - who happened to be a medical student - noticed Rebecca's ability to manage the crisis. She added: "I realised that she'd stood back herself while I got involved - she might have helped when he fell but she perhaps knew that the situation was under control." Rebecca has recruited a number of young people - including members of her own family - to Stanley Company, the St Andrew's First Aid company based in Ibrox which she joined eight years ago. She strongly believes that children should have a basic understanding of first aid - a passion that prompted her to speak to the Scottish Parliament's petitions committee on Thursday, urging ministers to incorporate training into the primary curriculum. She was joined by 10-year-olds Ellie Meek and Millie Robinson, two St Andrew's First Aid Thistles from West Calder. They gave a demonstration to MSPs, after which Millie told the committee: "I think I just enjoy it because you get to help people." Rebecca believes if St Andrew's First Aid is successful in its bid for all primary school children to be given the opportunity to learn life-saving skills, the benefits for society in Scotland will be huge. Draft legislation was proposed in England last year saying primary school children would be taught basic first aid, such as dealing with head injuries and calling emergency services. Rebecca said: "If all kids learned these skills there would definitely be fewer deaths. "Say, for instance, a parent collapses at home, a child who sees this happen would be potentially able to save the life of that family member. "Yes, they could be upset and distressed, but they would also have a basic level of help that would hopefully kick in - ringing 999 and knowing what to do, such as CPR or resuscitation, plus reassuring that person until paramedics came. "Such knowledge could be the difference between life and death. Not only that, it could be passed down from generation to generation. I think it would also be beneficial for paramedics as they would know there is a child there who knows how to keep a person stable and prevent more damage happening before they arrive." Stuart Callison, chief executive of St Andrew's First Aid, said: "Rebecca is a fantastic example of how young people can not only learn about first aid when in primary school but also carry it through their lives so it not only gives them the confidence to help strangers in need but also shape their future careers. 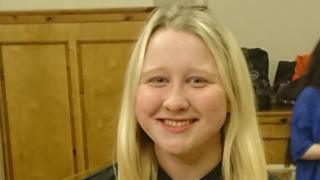 "I am very proud of Rebecca and delighted she will be telling her story to the petitions committee at the Scottish Parliament in a bid to help us bring first aid training into all state primary schools in Scotland."